Black Swan is a group of anarchists in Adelaide. We formed to keep anarchist ideas alive in Adelaide and to spread these ideas wherever we can. 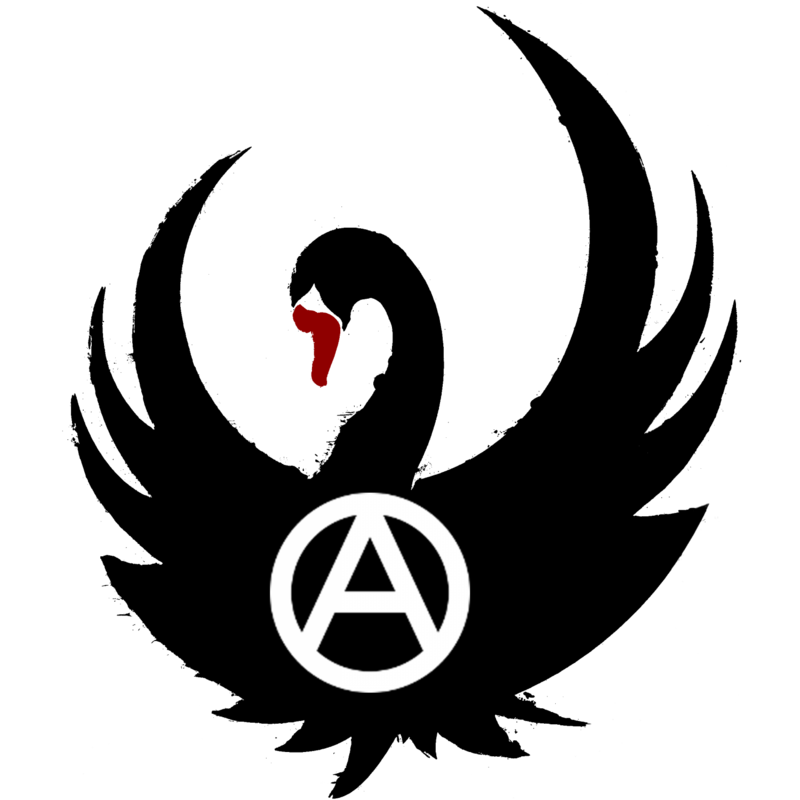 We hold events like film screenings and forums, and argue for anarchist ideas (like anti-statism and libertarian communism) and tactics (direct action, solidarity, mutual aid) within relevant social struggles. We also help out anyone involved in fighting for human needs over the needs of capitalism. If you are being ripped off or bullied at work, university or by a landlord, contact us and we will help if we can using tactics like pickets and posters. It doesn’t matter what your personal politics are. 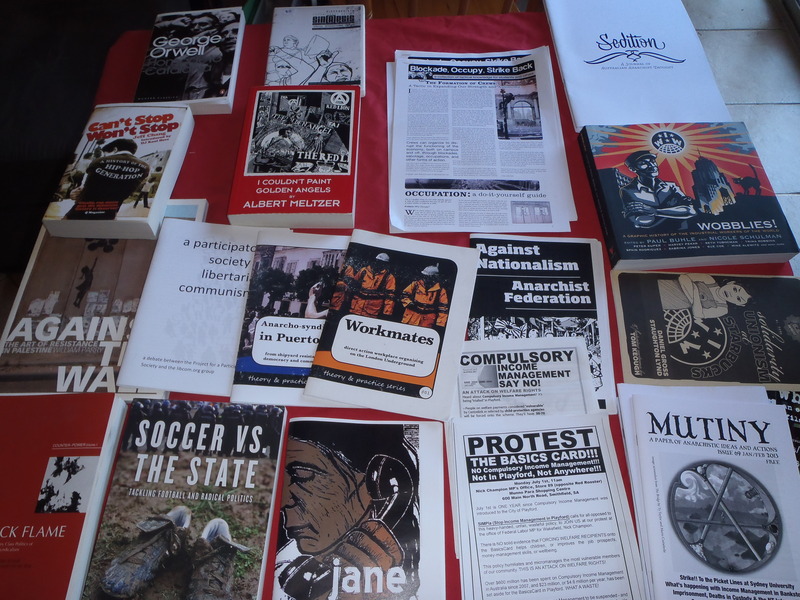 We continually educate ourselves on working-class, peasant and revolutionary struggles around the world, and history, through reading groups. We also have a mini bookshop of books and pamphlets for sale. We regularly hold fundraiser events like film screenings to raise money for anarchists and radical labour organisations in poorer countries. To get involved attend one of our public events or contact us to find out when our next meeting is. You can check the website to see what we are doing, follow us on Facebook or request to be put on our email contact list. Our email is info@blackswansa.org. Anyone who agrees with our Aims and Principles can join (except obviously police, employers, etc), although we are mainly active in and near the city. We aim to assist in building groups in the outer suburbs. Members are expected to attend meetings and actions to the best of their ability, seek to educate themselves, learn to argue for anarchist ideas and pay a small monthly dues.